Creative block is definitely a real thing in the agency industry. It happens to the best of us, at the worst times possible. So, if I told you that you could end your creative block by playing a card game would you give it a shot? 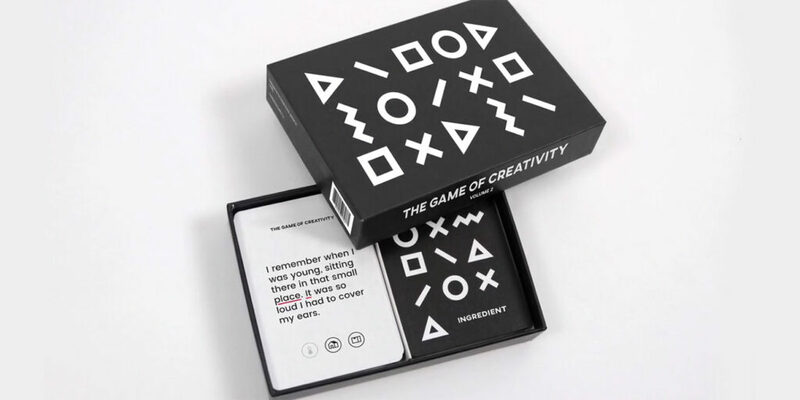 Well, Matt Vojacek, agency principal at Zwelly in Columbus, OH has developed a card game, called “The Game of Creativity,” to help jar loose those new ideas. The Game of Creativity was developed to enhance one’s own sense of creativity. So often in this industry we “research” what others are doing instead of developing our own creative thought. This is definitely something I’ve seen a lot in the 25 years I’ve been doing this. Vojacek was really interested in finding ways to bring creativity back to peoples’ lives and/or introduce them to creativity. It all started in college where he kept a journal with creative thoughts. And now, through a Kickstarter campaign, he’s introducing it to the world. And it appears the kickstarter is paying off. His goal was met within 24 hours with pledges exceeding $32,000. Give it a try and see if it works for you. Nothing to lose – except maybe creative block.